The Sundareswarar shrine at Madurai is said to have been discovered in a forest of Kadamba trees and worshipped originally by Indra, the King of Devas. There was a monarch by name Kulasekhara Pandyan who reigned over the Pandyan Kingdom. During his rule, a merchant in the course of his travels reached the Kadamba Vana forest and took refuge under the Indra Vimanam during the night. When he woke up in the morning, he discovered the Shivalingam, surrounded by offerings of flowers. Fully aware that no mortal being had offered worship during the night, the merchant inferred that the celestials (Devas) offered worship to Shiva each night at the site and conveyed the matter to the ruler Kulasekhara Pandyan. Kulasekhara Pandyan rushed to the spot and built a huge temple in honor of Shiva; it is believed that Shiva incarnated as an architect and supervised the construction of this temple. 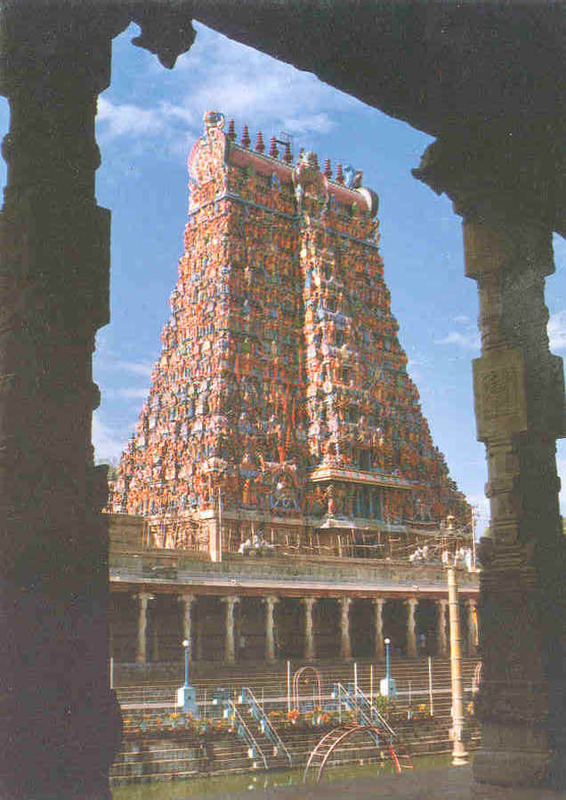 Kulasekhara Pandyan also proceded to build the ancient city of Madurai centered around this temple.